This group of musicians were part of the Eastern District honor choir that performed in Muskogee earlier this month. They had to go through an audition process to be selected then joined with the top singers throughout the district for the performance before an audience. 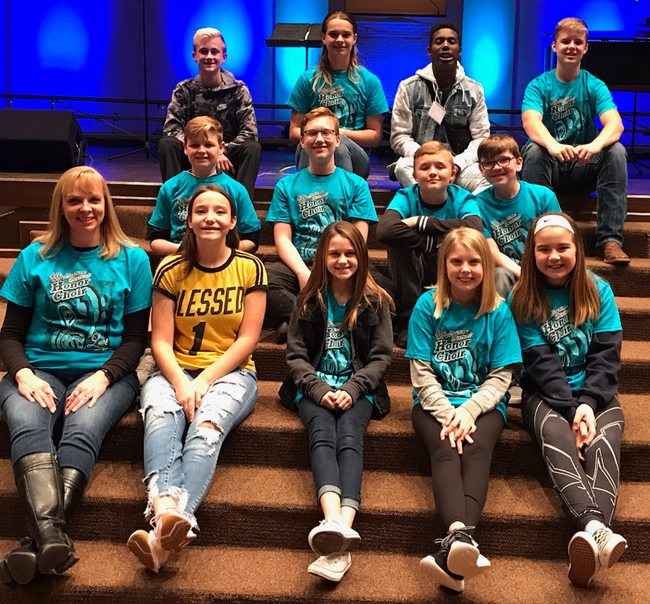 Making up the choir from Henryetta are Blake Wynne, Tyler Sisson, Jordan Knox, Dalton Pemberton, Brady Norman, caveryn Foster, Phoenix McKay, Braden lollis, Felicity Burden, Emma Thompson, Abbagayle Pemberton and Addison Chavez. They are shown with their music instructor Karen Willis.